Having years of expertise and knowledge in domain, we manufacture, trade and supply a large range of Automation Equipment. 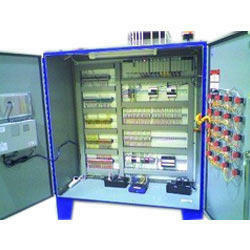 The Automation Equipment we offer is widely known for their effectiveness. 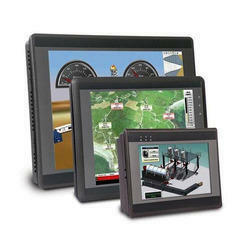 Having rich industrial knowledge, we are providing HMI Systems. This is a useful for continuous monitoring and closed loop control. These HMI Systems has a great output and is quality tested. Hence, these HMI Systems are the right choice for our valuable clients. Touch Screen and Key Pad Version: 3 inch to 14 Inch in monochrome and color version. SCADA Systems for process applications using DCS/PLC's for supervisory and regulatory controls. We offer software along with DCS/PLC's for supervisory and regulatory controls for any process control applications from concept to commissioning and after sales support. We are reckoned amongst leading and prominent companies for offering a large range of PLC Systems. To control and monitor building system and production processes, our PLC Systems are widely used. 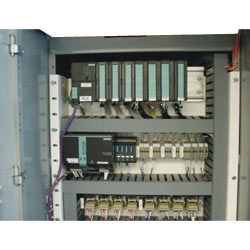 Moreover, these PLC Systems are known for their long functional life.